A new mall has opened in My Town! 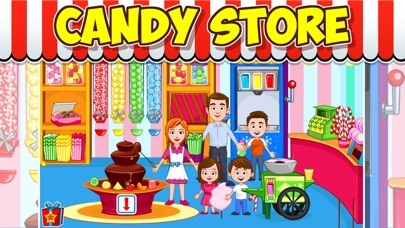 Imagine all the stories your children can make up with more than 6 different locations to explore. 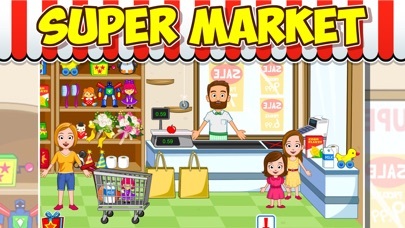 Dress up in the latest fashions in our clothing store, or pick up ingredients for tonight’s dinner in the supermarket. 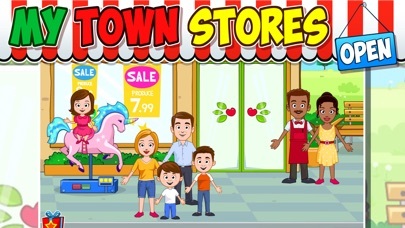 My Town : Stores is a fully interactive game providing hours of education and entertainment. With no time limits or high scores to achieve, the only limit in My Town is your own imagination! 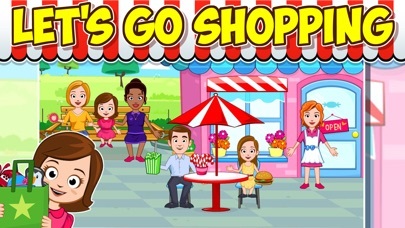 *6 areas to explore including a huge supermarket with over 67 items to buy, play with or eat, a candy store where you can make popcorn, pick up some gum and find ALL the sweets you can possibly imagine, a clothing store to dress up the family in 87 of the most fashionable looks and even a food truck!